Last night I shared this photo on my Instagram feed. to take a moment and just Breathe. This has been a hectic week and an emotional one as well. Yesterday I was pretty frazzled. My cousin sent me a text and all it said was….. Seeing that text come in was just what I needed. I literally stopped and took several deep breaths. Did you know that Breathe is my favorite word? 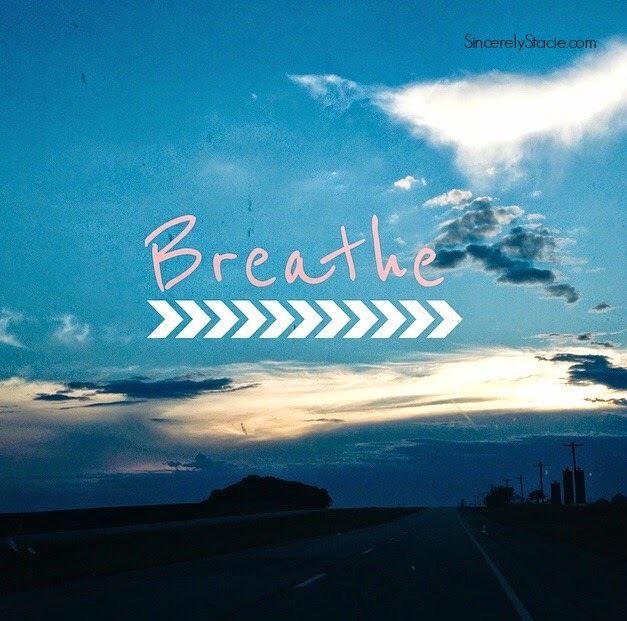 Just saying Breathe makes you slow down. There. Don’t you feel a bit calmer? Has your heart rate slowed done? Is your brain not feeling like fireworks constantly going off? I’ve got a lot going on in the next days and weeks.